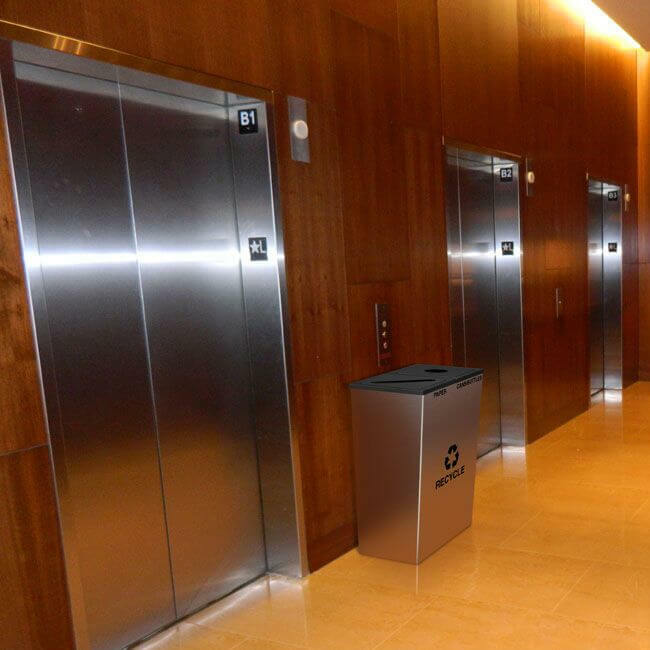 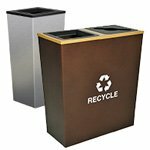 Clean lines and quality construction merge to create a Waste and Recycling Receptacle that is as visually stunning as it is functional. 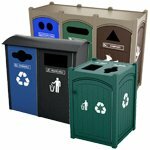 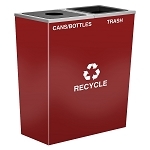 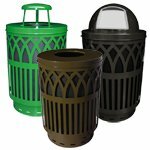 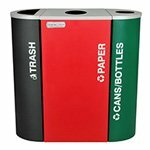 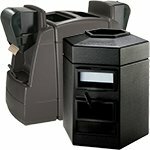 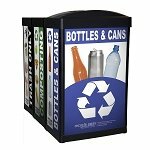 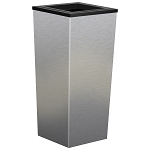 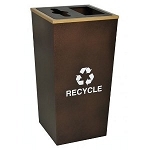 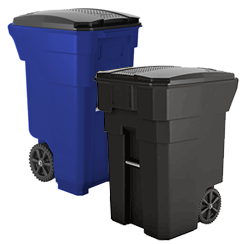 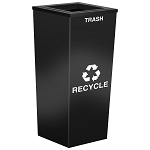 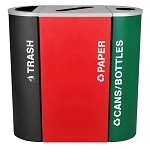 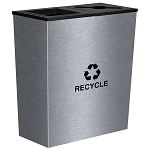 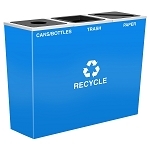 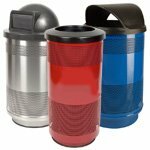 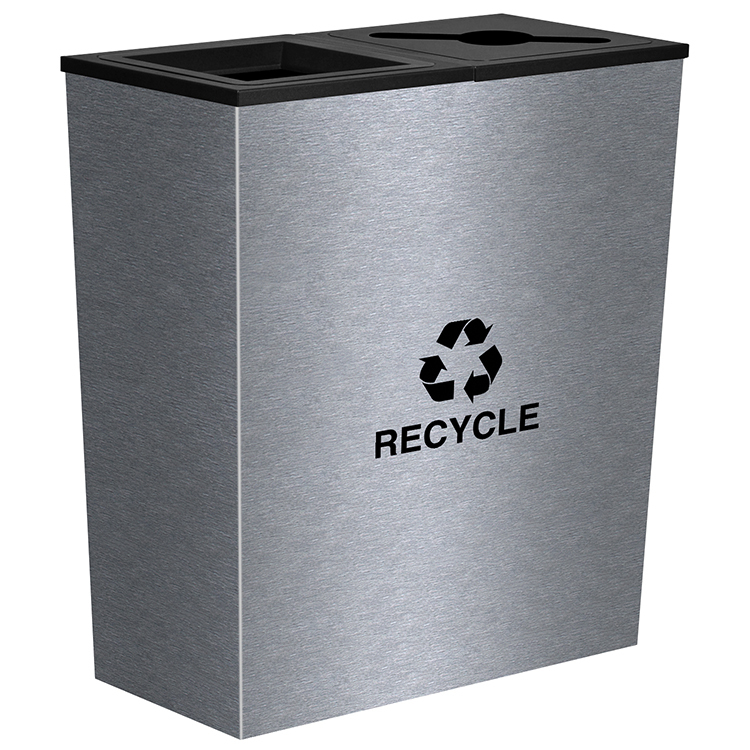 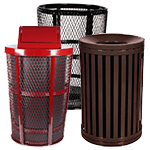 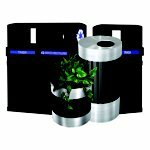 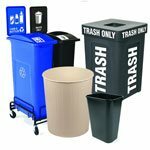 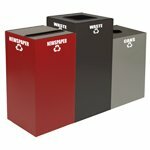 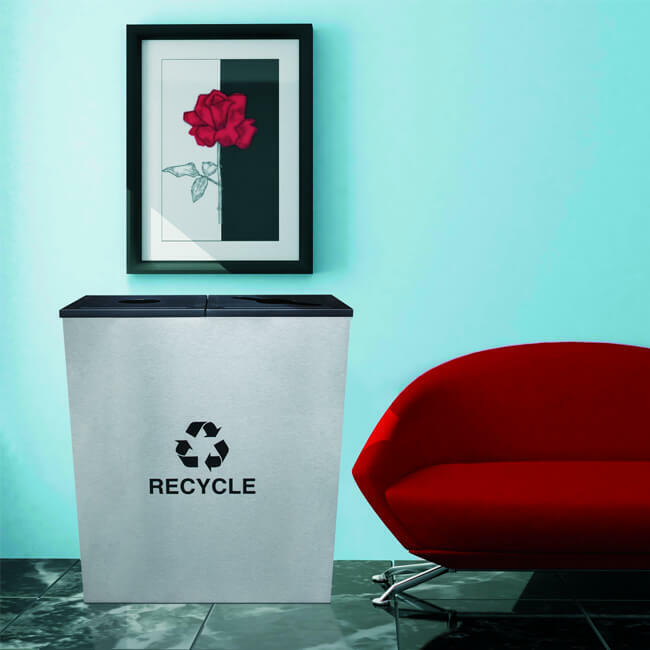 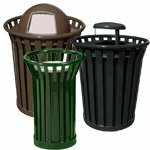 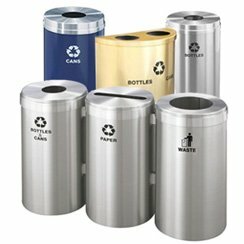 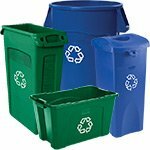 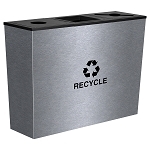 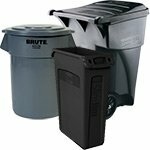 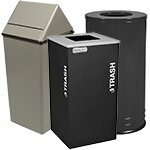 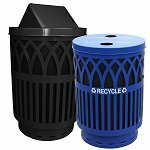 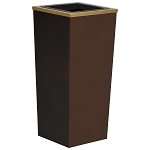 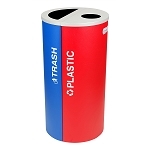 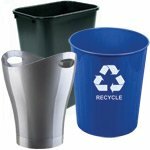 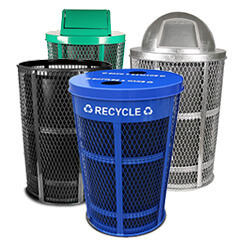 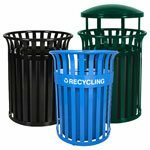 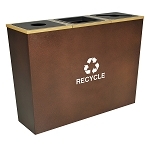 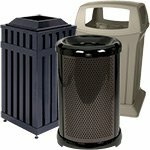 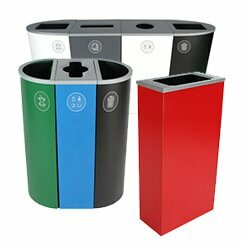 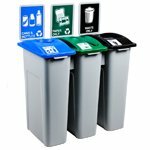 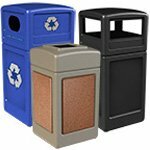 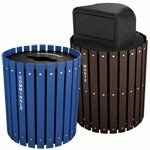 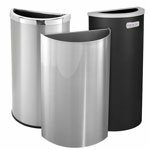 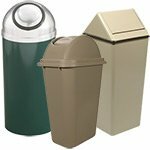 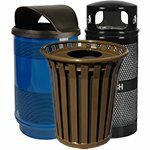 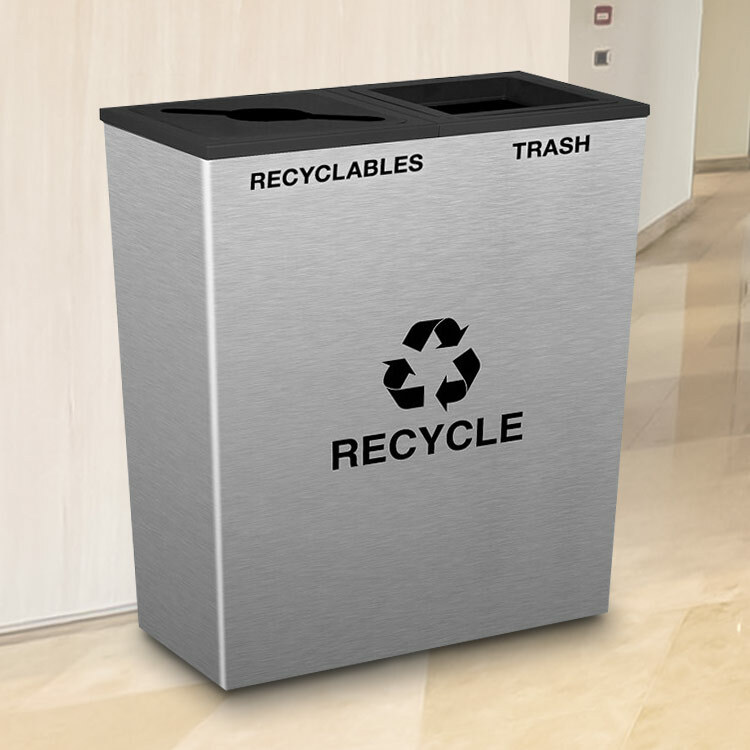 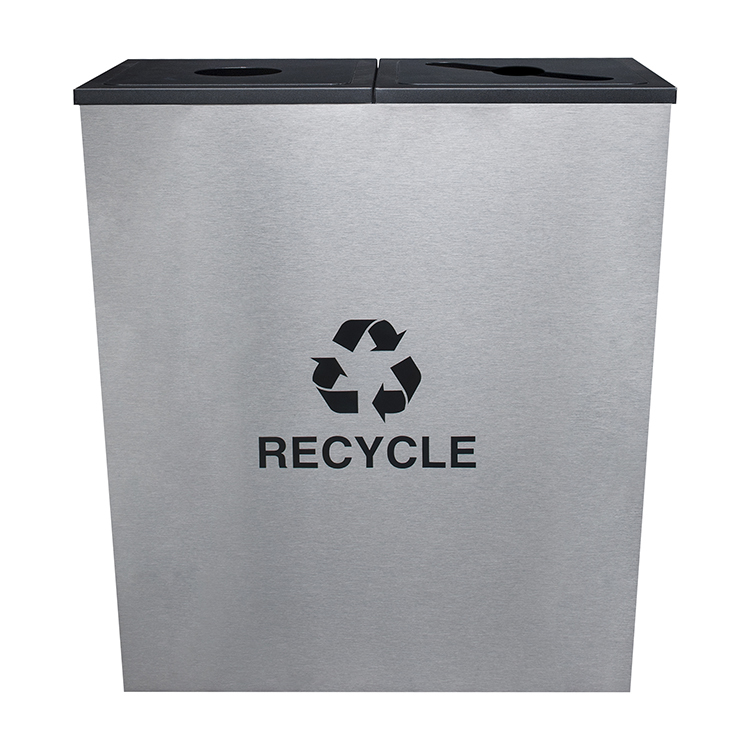 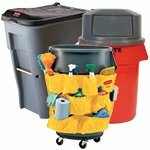 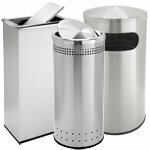 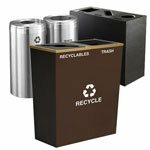 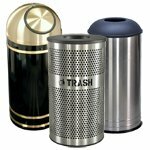 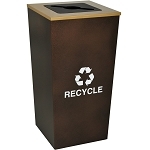 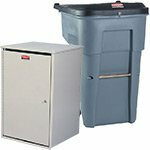 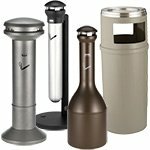 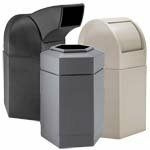 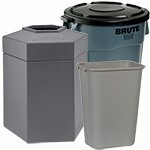 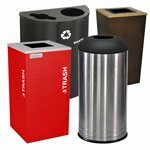 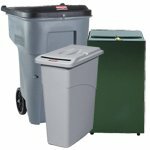 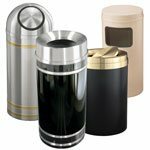 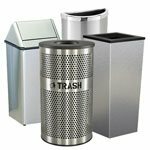 Metro Collection Waste and Recycling Receptacles complement any décor, traditional or contemporary. 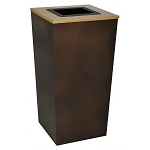 Also available in Hammered Copper EXL-Coat. 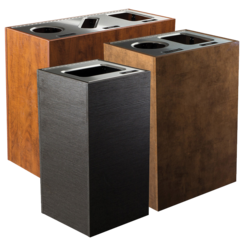 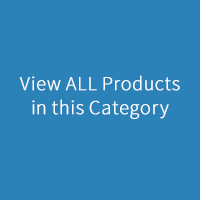 Four heavy-duty feet keep the units slightly elevated to allow for air circulation and help restrict mold and mildew growth and unsightly discoloration of floor surfaces from mop around rings. 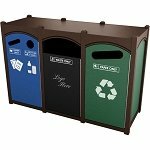 Trash top and flat tops for Paper and Cans/Bottles. 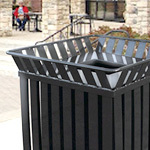 All are finished in a fingerprint proof, black texture EXL-Coat Powder coat finish. 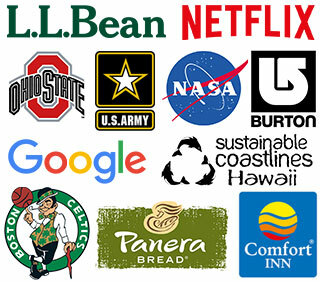 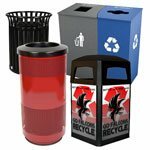 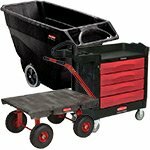 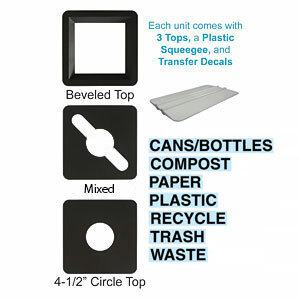 Transfer decal kit includes designations for: Recycle, Paper, Plastic, Cans/Bottles, Compost, Trash, and Waste plus plastic squeegee for quick and easy application. 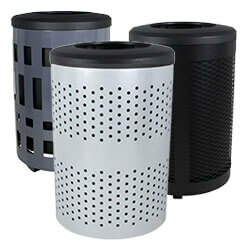 Also available in Single and Three Stream units.